Mustang is excited to announce the launch of their new Articulated Loaders featuring the 608 and 708 models. Pricing will be available early in 2016 and begin taking pre-orders in March 2016. Production of the new machines is anticipated to be May 2016. Mustang currently has units on display in Hannover, Germany at this week’s Agritecha tradeshow. The new Articulated Loaders will give the ag industry a whole new way to increase their farming performance. Below are the specs for each model. Specifications are Preliminary Mustang reserves the right to add improvements or make changes in features and specifications at any time without notice or obligation. Mustang reminds users to read and understand the operator's manual before operating any equipment. Also, make sure all safety devices and shields are in place and functioning properly. 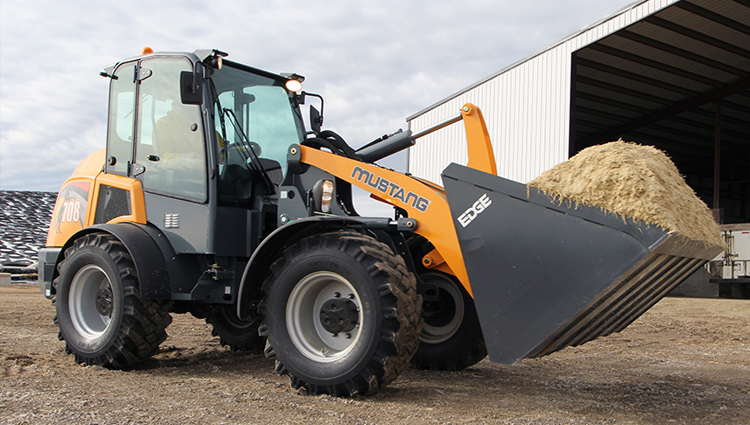 For more information on the Mustang Articulated Loaders, call Bob at (204) 222-5222.